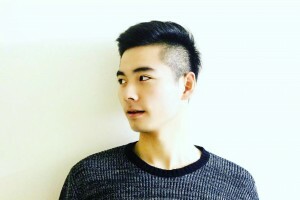 Fulfilling one of his life-long dreams of studying abroad in the United States, Zijie Wan came all the way from the Jiangxi Province of China to achieve his Business Administration degree at Castleton University. Before enrolling at Castleton, Wan was initially daunted by the language and cultural differences, but quickly discovered the endless resources available to him as an international student on campus. He credits members of the International Student Office with helping to make his time at Castleton a successful one. “They have shaped my experiences because they helped me enrich my time here and they have helped me with my difficulties when studying,” he said. As a student Wan served as the Vice President of the Chinese Club, and helped to plan and host a Chinese New Year party. He also took on tutoring duties, as he taught an American student the Chinese language in preparation for his study abroad trip to China.